Servizi applicativi verticali, enterprise web services, portali informativi aziendali e tematici opzioni binarie broker, motori di ricerca e banc de binary dati. 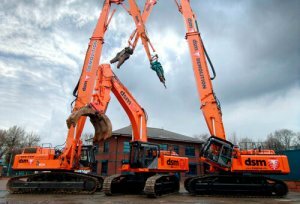 UK’s most profitable demolition firm in management buyout. After more than a week of intense industry speculation, European private capital group Metric Capital Partners has announced today its investment to support the management buyout and merger of DSM Demolition and St Francis Group. DSM is a leading industrial services business providing complex demolition, remediation and decommissioning solutions in the UK to a blue chip client base across a range of sectors. It is also one of the UK’s most profitable demolition firms. SFG, meanwhile, acquires brownfield sites and performs demolition, remediation, planning enhancement and other improvements such that the sites may be sold ‘clean’ to a range of purchasers. The combined Group has a clear competitive edge in the UK market with its unique, combined expertise –in technical remediation and planning expertise combined with an acquisition vehicle to purchase environmentally challenging sites. This expertise enables the Group to “unlock” the value of purchased land assets. In the transaction, Metric has partnered with the DSM and SFG management teams to buy out the family shareholders who established and have owned the Group since 1988. MCP and management will share ownership of the Group going forward. Posted: April 4th, 2017 under General.